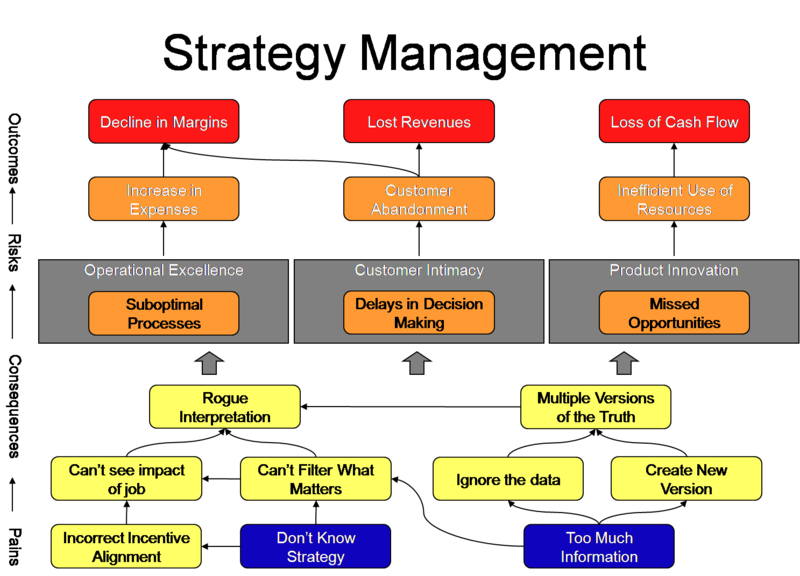 What is the value of Strategy & Operational Performance Management? What if we were to fix a couple critical customer value processes by 5%? 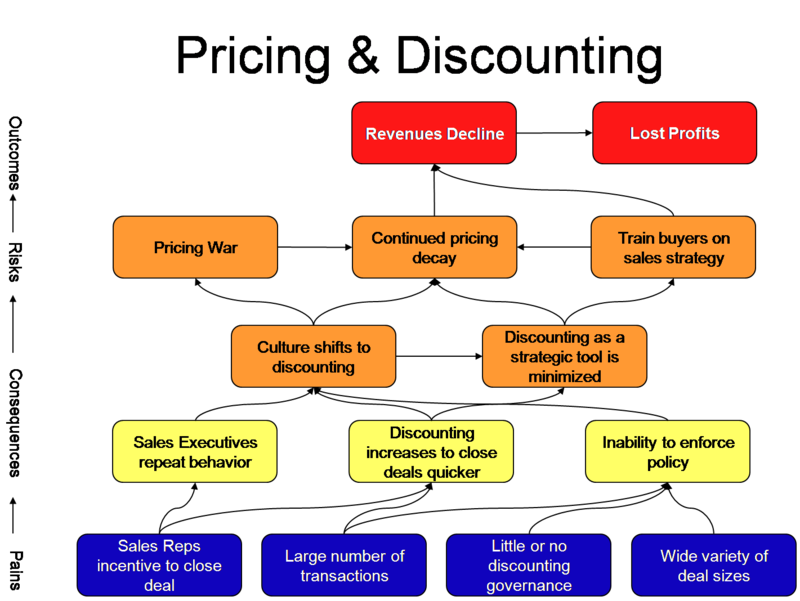 If you decrease your discounting by 5% what is the value to the organization? 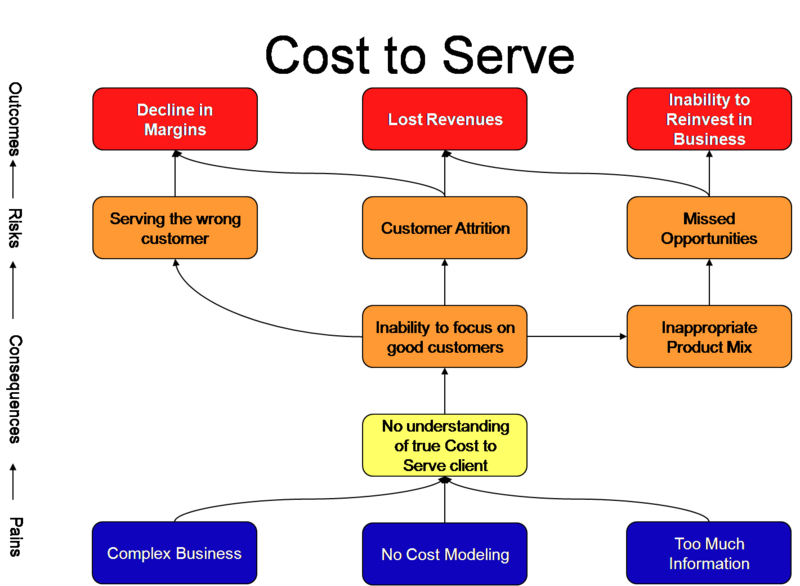 What does it cost you to continue to serve unprofitable customers? Below are a couple of maps to identify where things begin to break down and how understanding where to start can create the best path to solving the problem. If we understand our pricing and discounting policies and proceedures we are better able to enhance the negotiation process by arming the sales force with additional material. We stand a far better chance to negotiate on value, not just price. By understanding our cost to serve our clients we are putting in place critical analytical models about resource allocation. We understand our good customers and our bad and use these in negotiation or plans.